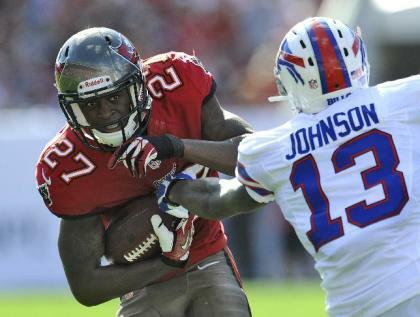 TAMPA, Fla. – Johnthan Banks walked out of the locker room after the Tampa Bay Buccaneers' preseason loss to the Miami Dolphins last month, checking his phone for updates about his beloved pet horses. That's the way it's been for the second-year defensive back for most of his life: thinking a lot about family, football and foals. Last year, however, he was worried about his livelihood and his life. Banks was diagnosed with MRSA last October, in the midst of an outbreak of the severe staph infection that rattled the Bucs' franchise and helped derail the 2013 season. "It's a life-threatening disease," Banks said. "I was very scared." Banks was the third Bucs player diagnosed last season; the other two, offensive lineman Carl Nicks and kicker Lawrence Tynes, are no longer with the organization. In fact, it's unknown whether either will ever play in the NFL again. "Seeing Tynes," Banks said. "His career [might be] over. Mine is just starting." Banks, a rookie in 2013, was diagnosed with the disease two months after Nicks and Tynes were afflicted. "It was a frightening time," Banks said. "Could I give it to my son? To my wife?" Fortunately, the answer was no. Only a few days after news of Banks' condition broke, the NFL issued a statement saying there was no risk of his infection spreading to others. He was cleared to play that weekend, against the Philadelphia Eagles on Oct. 13. Banks had five tackles in that game, which was then a career-high for him. "Our trainers did a really good job with me," Banks said. 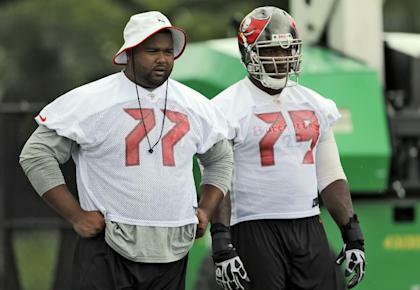 By the time Banks was affected, the Bucs brought in specialist Deverick Anderson from Duke University to consult with the team and the league on the situation. His involvement brought some relief amid concern that opposing teams might be at risk by visiting Raymond James Stadium. It's hard to know whether bringing in Anderson earlier in the process would have made a difference, but a former team executive who was with the club last season believes so. "The lack of information allowed a whole lot of unsubstantiated rumors to grow," said the former executive who requested anonymity. MRSA is more common than many people realize. The Center for Disease Control reports about 2 percent of Americans are carriers, most without ever knowing it. The antibiotics-resistant infection can spread through shared towels, handshakes and whirlpools. MRSA has hit several NFL teams over the past decade – 33 infections leaguewide from 2006 to 2008 alone, according to an AP report – and careers have been both threatened and ended. In a 2003 outbreak in the St. Louis Rams' facility, more than 40 percent of personnel tested positive for it. "That's one of the scariest things about it: I don't know where I got it," said former defensive lineman Brandon Noble, who was one of five Redskins players diagnosed with MRSA in 2006. "It lives in places where you are as a football player. It lives in dirty towels and gross lockers and all the things I've seen for years and years." Noble had one of the more virulent cases of the disease, and said he nearly lost his life on more than one occasion. "I think it was the beginning of the end [of my career]," he said Tuesday by phone. Noble tells a harrowing story of going in for emergency surgery on a Thursday night, and then his wife going into the hospital to give birth to their third child the next day. Noble nearly missed the birth because of concerns he was contagious. Only weeks later, he said, he was back in the hospital with pulmonary embolisms. "At that point, my wife said no more," Noble said in regards to his playing career. "I had three situations, all potentially fatal." A career that had been disrupted because of prior injuries was now beyond repair. Redskins owner Daniel Snyder ordered an immediate overhaul of the locker room – "Mr. Snyder basically nuked the building," Noble said – and yet Noble still nearly lost his leg. "It's one of the most painful things I've ever endured," Noble said. "It's scary because it's something you can't fix on your own." Fortunately for Banks, his bout with the disease never got that serious. He said the entire ordeal took about two weeks. He had two interceptions in the second half of the season, and played in all 16 games. The stain of the whole episode, however, didn't leave the franchise. Head coach Greg Schiano and general manager Mark Domenik were let go after the season, despite somewhat better on-field results after the MRSA ordeal. 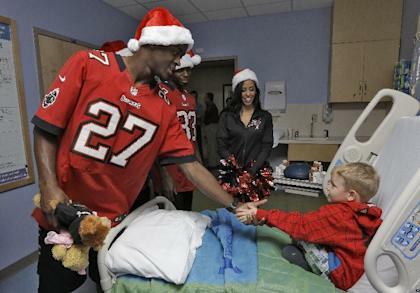 Losing happens all over the NFL, but the Bucs became known for the MRSA episode as well as for the team's struggles. Fans showed up at home games in hazmat suits. The franchise even changed its uniforms during the offseason, as if to underscore the fresh start. Nicks' loss has been huge. The Bucs' offensive line has been anywhere from mediocre to dreadful this preseason, leading to the acquisition of Logan Mankins and even a meeting with controversial center Richie Incognito. Nicks had a nagging toe injury coming into the 2013 season, but MRSA certainly didn't help, and it's been nearly impossible to replace the All-Pro blocker. "I don't think you had a better guard in this league than Carl," said former teammate Davin Joseph. "We were expecting Carl back. It still hurts. You can't lose a guy like Carl and not have it hurt you." The new Lovie Smith regime may work out in Banks' favor. The Mississippi State product is a physical defensive back, but not much of a burner, so the Tampa 2 set may end up being more comfortable for him. He had a strong preseason. For now, Banks is a rare case in the NFL: a victim of MRSA who never missed a game and hasn't seemed to miss a step. Banks, who hasn't seen his mother in many years and lost his father in a car accident when he was 12, has been through much worse. But when he got his dream job last year, he didn't figure something outside of football would threaten him. He's hoping this season, he can finally focus on the field. "I don't have MRSA anymore," he said. "I'm having fun."